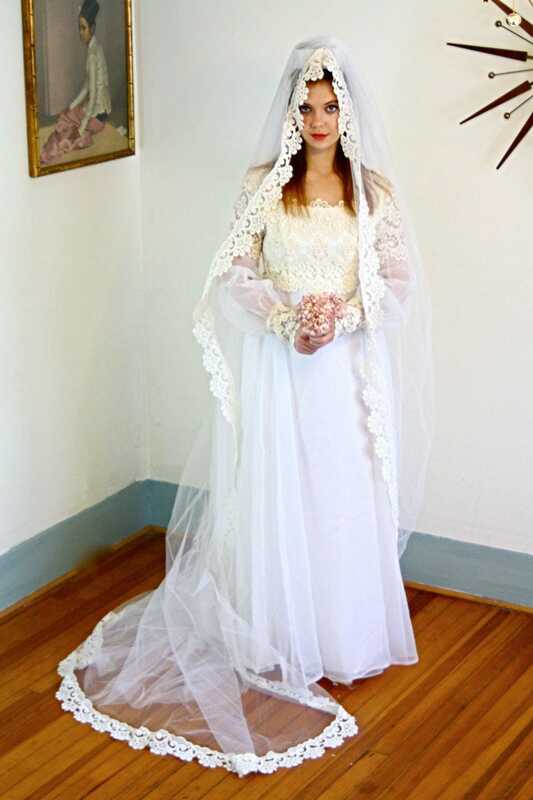 This is such an amazing late 1960s, early 1970s wedding dress an veil SET! 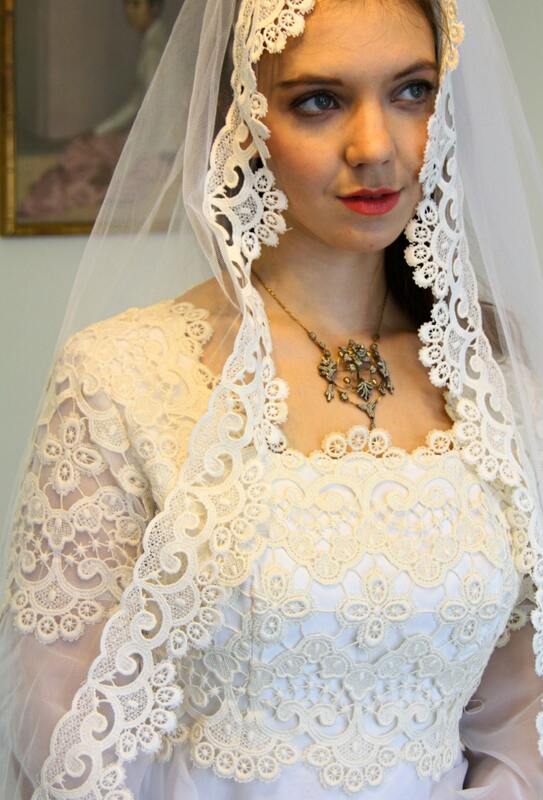 This lovely true vintage 70s bridal gown has the most beautiful Ivory Crochet Chantilly Lace!!! 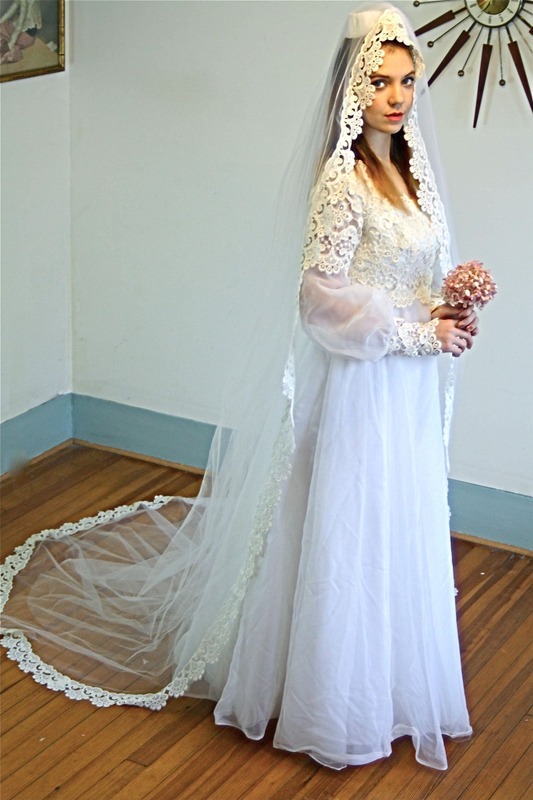 This 60s to 70s romantic hippie wedding dress has sheer, double chiffon puff sleeves, a full lace bodice and lace trim all around! There are three layers of skirt, a metal xupper up the back, and snaps on the sleeve cuffs to give it that romantic renaissance vibe! 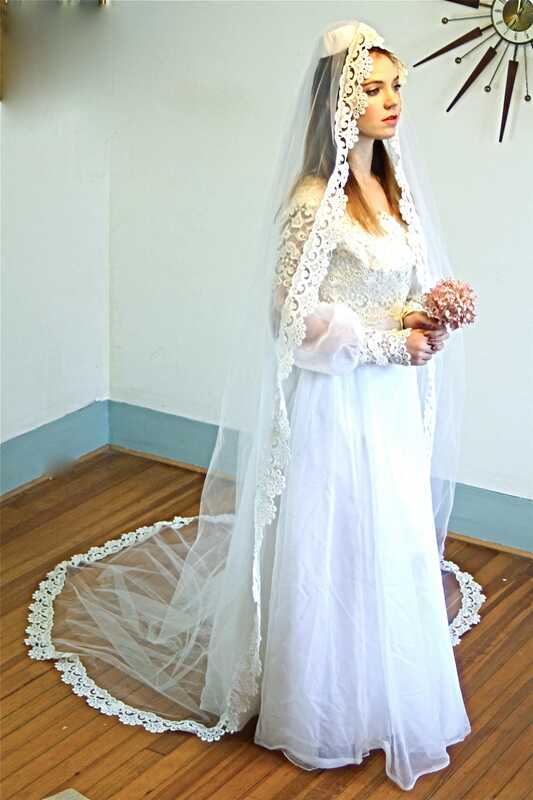 It comes with its original veil that is made of two layers of netting with 18 feet of matching Chantilly lace! 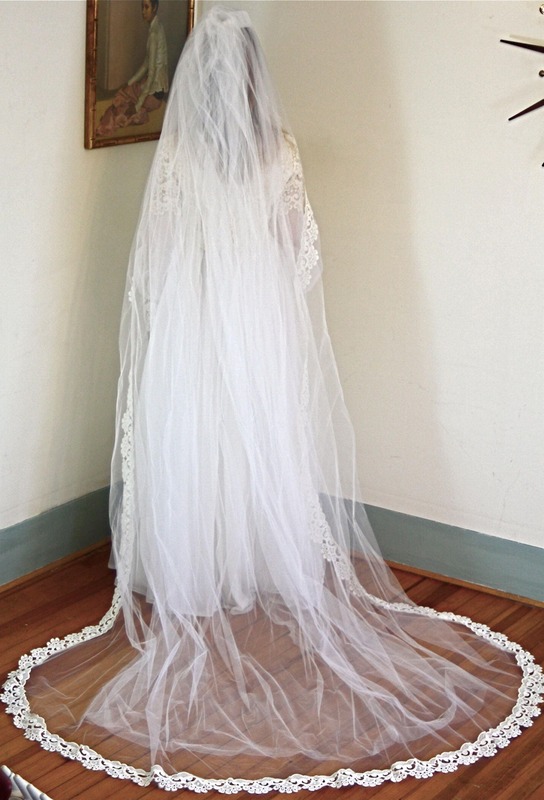 The Super Long Chapel length veil is stunning! Material: antique chantilly lace, nylon chiffon, metal zipper. Length: 105" (almost 9 feet)! CONDITION: Excellent! The lace has yellowed to a beautiful Ivory, and there are a few snags on the skirt of the dress.